The digital era offers multiple possibilities surrounding the production, simplification, automation and creation: this has opened the door for new materialities that not only respond to the physicality of an object but also to its processes and exchanges developed from digitization. Taking as a starting point the theories created by James Bridle and the New Aesthetic Tumblr project, Christiane Paul and the concept of Neomateriality, Bernard Stiegler and his ideas behind Hypermateriality and Timur Si-Quin’s perception of Metamaterality, this talk will look into these concepts and their incidence in the creative world, design and mass production. 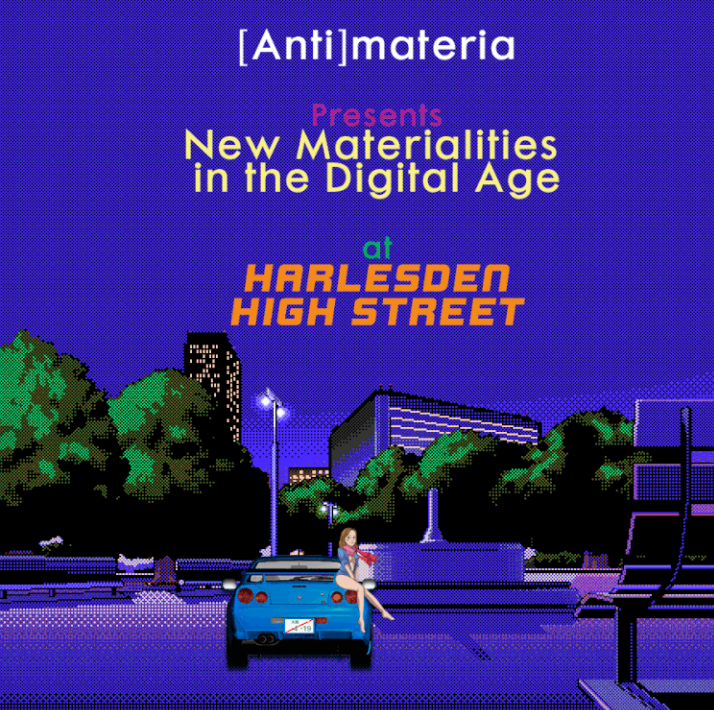 Understanding the difference between new materials and new materialities from the processes of dematerialization - digitization - rematerialization we’ll be looking into the ideas of ubiquity, teleportation and clonation inside art production. This talk will be followed by a screening of audiovisual pieces which seek to blur the borders of materials and become dimensional hybrids, playing with the idea of new materialities themselves. These audiovisual pieces explore from the moving image and its production possibilities, the integration of discourses that go beyond 2D - 3D. Responding to contemporary creation methods, and the implications and consequences thereof, each of these pieces are linked from areas ranging from the possibility of 360 video to the creation of generative software. AVD is digital art platform hosting smartphone based exhibitions both online and in physical locations. We also run a residency call the reZindexy on the desktop version of the website. localhost:AVD v1.1 is an evolution of the first IRL exhibition that took place in late September. The show features the work of nine artists who work within the realm of digital media. Their work is brought together within an architecture that has some of the tropes of social media, allowing connected users to interact with the work, and each other, live. The works themselves include videos, animated images and games. The exhibition employs a 'liking' system which projects love hearts across the screens of all the users currently viewing the exhibition. Everyone who is online can see others interacting/‘liking’ digitally and physically, simultaneously. Over time these 'likes' subtly change the aesthetic of the show. The exhibition is served from an 'emitter' which takes the form of a CRT monitor and is the source of the local network. It acts as a focal point for the show, a place for users to congregate in order to get the best signal.